← Everyday, every moment is a gift, why not spend it snuggled close to the person you love? Ellie and I have been having a truly blessed summer, filled with all kinds of beautiful sensory experiences. 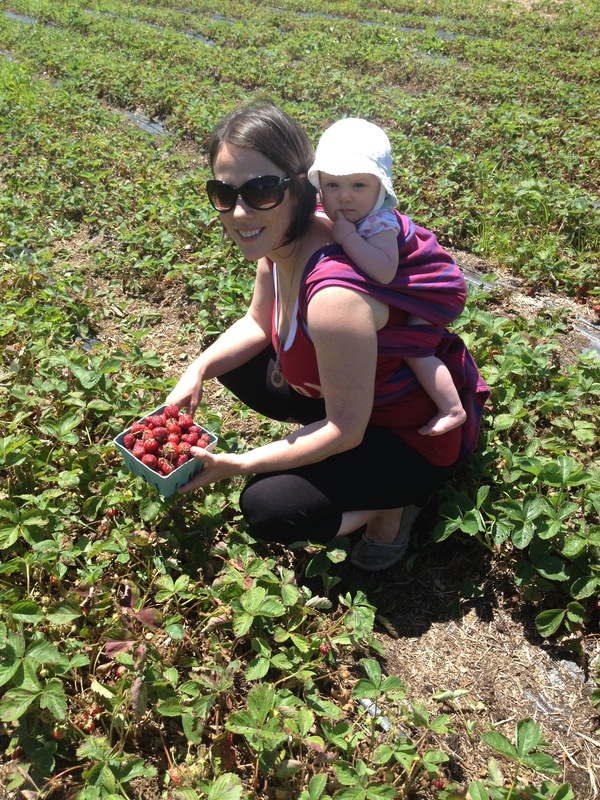 On this warm day in June, we met a few fellow moms, dads and kiddos to go strawberry picking at an organic farm out in Olney, PA (http://oleyvalleyorganics.com/). After we picked 5 cartons of strawberries (whew!) we parked ourselves under a pretty tree and ate lunch with friends. On this day I was wearing Ellie on my back in a Girasol woven wrap very appropriately called, “forest berries”. 😉 It was a wonderful day. Since then things in our lives have been shaken up a bit. I will always remember how lucky I felt to be in that moment.